I recently responded to a blog that asked if people’s expectations were too high these days with the following comment. This triggered rants from Thatcher fans on the evils of socialism, communist led trade unions and ‘lefties’ in general, myself evidently seen as a leftie. My crime, of course, was to suggest that Thatcher was anything less than saintly. The accuracy or otherwise of my comment was ignored, and my later comment that she did not rescue Britain from the iron grip of ‘commie’ trades unions brought only derision. Thatcher’s crushing of the miners’ strike, led by the Communist Arthur Scargill, led to her being credited with rescuing Britain from the ‘British disease’ and from being the ‘sick man of Europe’. That credit was unmerited. To take the miners first, they went on strike in 1972 and again in 1974. 1972 saw their first strike since the mid nineteen-twenties. 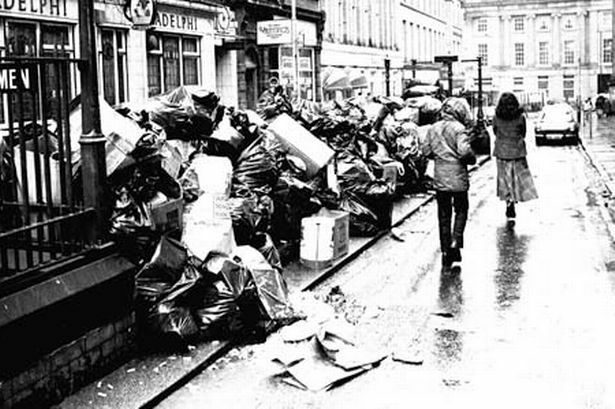 Their next strike was the 1984-5 confrontation with the Thatcher government. So, although led by a Communist in the eighties, the National Union of Miner’s strike record was good. As for the ‘sick man of Europe’ label, that too is not supported by the record. Indeed, it was a creation of Fleet Street that served well Thatcher’s election campaign. In creating the story and perpetuating it, they ignored a few pertinent facts. Let’s revisit figures that I have published on several occasions only to be met with silence from those believing in the sick-man-of-Europe myth. It might interest those who see British unions as ‘commie-led’ to note that France, where unions were Communist led, had a better strike record than Britain. Just one more fact that conflicts with their rhetoric. In the year that Thatcher was elected, 1979, Britain’s strike days per thousand were exceeded by Ireland, Italy and Spain. So, if Britain was the ‘sick man of Europe’, there were others with a better claim to the title. In a slightly earlier period, another label appeared in the press: ‘The British Disease’. So, let us look at the British figures that were supposed to merit that description. Five industries covering only 6% of workers accounted for 25% of all stoppages. 98% of manufacturing plants were strike free. Of those affected, 5% accounted for 25% of stoppages. 9 unions accounted for 90% of stoppages, with less than 50% of the workforce. With 85% of strikes, manual workers were ten times more prone to strike than white collar workers, per thousand employees. 31.7% of stoppages per 100,000 workers were in plants of 5,000 or more. Less than 5% of strikes had official union backing. This last figure tells us little because union leaders were in the habit of surreptitiously backing unofficial strikes. 1966-’76 over 50% of strikes, and 80% of days lost, were over pay. 80% of strikes and 90% of days lost were over pay or job security. Thatcher acolytes will no doubt ignore these inconvenient figures as they have before, just as they ignored my original remark on the blog that expectations today are not higher than they were in the recent past. Both Atlee and Thatcher led governments that started revolutions in Britain. The expectations of young people are now lower than they were in my youth, and with good reason. I was fortunate enough to be young during the first philosophical revolution, that initiated by the Atlee government that implemented the 1942 Beverage Report, something that the electorate did not trust Churchill to do. Churchill agreed to the 1945 election expecting to win, but the people had had enough, particularly the troops. The military vote was solidly pro-Labour. They had no intention of returning to pre-war economic depression and to the class prejudices that then prevailed. The people demanded change, and Clement Atlee’s Labour Party promised it in a manifesto. Once elected, by nearly 48% of the vote, the government set out to keep its promises, something that many of today’s politicians might wonder at. The new Prime Minister was a man of compassion rather than passion, a quiet man, but a determined one who, with the help of Ernest Bevin, a trade union leader and wartime Labour minister, held the radical left of the Party in check. That government was one of the great reforming administrations of the 20th century. As with all governments, mistakes were made but, on balance, its effects were positive for the vast majority of the British people, particularly in health and welfare. The second philosophical revolution came in 1979 with the election of Margaret Thatcher as Prime minister. Thatcher’s antipathy to the welfare state and her attachment to the economic philosophy of the Chicago School, led her to begin the reversal of Atlee’s achievements. She began the privatisation programme that was to endure after she lost power, and introduced a housing policy that contributed in no short measure to the present housing crisis. She also introduced the ‘big bang’ revolution in the provision of financial services. Thatcher thought that being a Council tenant was demeaning and wanted to create a property owning and share-holding democracy. She envisaged ‘ordinary people’ owning their own homes and holding shares in companies. She bought into the idea that a privately run operation is per se more efficient and better than a publically owned one. Yet British industry that was privately owned was overtaken by Germany, France, Japan and others because it failed to innovate and was complacent. Like all revolutions, those of Atlee and Thatcher had their successes, but also significant failures caused by excessive zeal wedded to naivety. Atlee’s command of the means of production soon began to hit difficulties, and it was a Labour Prime minister, Wilson, who privatised the steel industry. For her part, Thatcher persisted with an economic philosophy while failing to understand the working class that she planned to liberate. The vast majority of shares bought by ‘ordinary people’ in the privatised industries ended up in other hands, and the majority of houses bought through her right-to-buy policy are now in the hands of buy-to-rent landlords, while we have growing numbers of people living on the streets. Also, those industries that were privatised are largely foreign owned, so creating problems for Britain’s economic management. There are well known alternatives to austerity as a way out of recession. Growth could be stimulated through direct funding of consumption, as once described by Milton Friedman, but if used in Britain it would lead to an inflow of foreign products, and an outflow of profits repatriated by foreign owners of ‘British’ industry, so increasing the already enormous current account deficit. One of the problems we face is that both revolutions have their zealous absolutists who decry any suggestion from what they perceive as the other side. Somewhere between Thatcherism and Socialism lie solutions to our problems but any detraction from the absolute is derided by the bigots of one side or the other. What a pity for the younger generation, that rightly has lowered expectations.